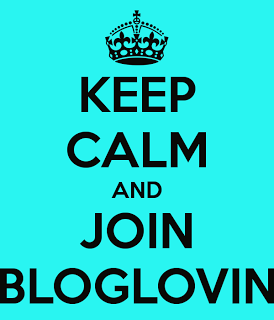 Do you use Bloglovin'? I had seen the button on a few blogs I follow but never knew was it was. Then a friend recommended I check it out. I did...and I love it! And now on the heels of the news that Google Reader and Google Friend Connect going away, this couldn't have come at a better time! Quick, easy and free to join (and you don't even have to have a blog to use it, just an email address), Bloglovin' a super convenient way to keep up with all your favorite blogs. 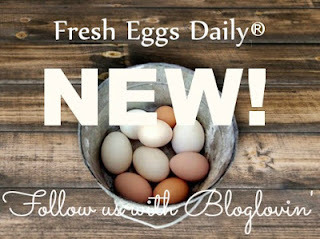 No more email clogging up your inbox every time one of the blogs you follow posts an update, instead you will see the posts from all the blogs you follow in one place on the Bloglovin' site (with a thumbnail and intro) - and can choose from a few options including getting just one ONE email each morning with a summary of all the new posts. You can mark posts as read, which is a great way to keep track of what you still need to read. You can even put your blogs into different categories to organize them (and who can't use a little more organization in their life!) and you also see the list of blogs that the blogs YOU follow keep up with - so it's a great way to find fun, informative, new blogs to follow. 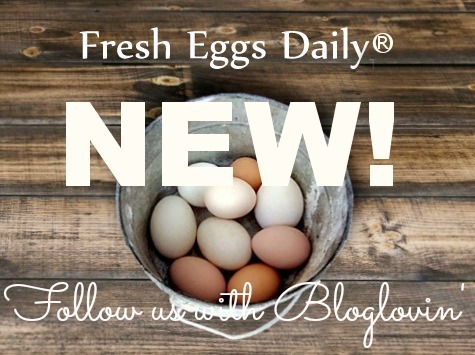 We just signed up and Fresh Eggs Daily is now on Bloglovin', so c'mon and show us a little loving'....a little Bloglovin' that is!